Please join the Ergoweb® team as we welcome David J. Scalzo as our new Chief Technology Officer. In his capacity as CTO, Dave will oversee all of Ergoweb’s technical systems, including our proprietary software systems, web properties and digital media, and internal business processes. 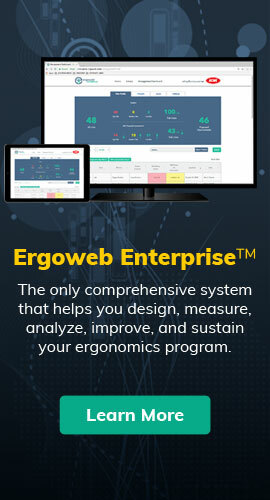 He’ll also support Ergoweb partners, including ErgoAdvocate® and Ergobuyer®. Scalzo brings a wealth of experience to Ergoweb. Among his accomplishments he has served as a Software Engineer for Kemper Insurance and Micron Technology, a Software Project Manager for Intel, a Development Manager for GoDaddy.com, a Technical Director for Glowhorn, and is the owner and developer of BirdieApps Golf GPS system. His experience includes large and complex hardware and software systems, specialized applications, and digital marketing systems. He has supported several important Ergoweb development projects over the past several years, and will now transition to a full-time basis. Dave is also a certified Project Management Professional (PMP), a Linux Certified Professional (LPl-1), and holds Hubspot Inbound and Design Certifications. He received a BS in Computer Engineering from the University of Illinois at Urbana-Champaign (2001) and an MBA from the W.P. Carey School of Business at Arizona State University (2006).